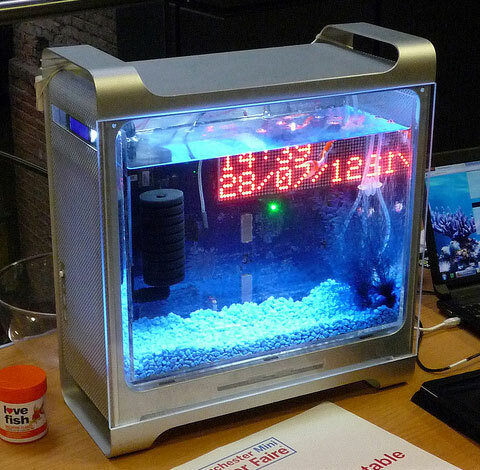 I took the internet enabled fishtank down to the Manchester mini maker faire at MOSI to show it off and boy, what a busy weekend! 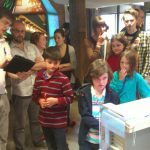 It was amazing to capture so many peoples imagination and even inspire a number of adults and children alike to get into making stuff. Repeating the same demonstration a few hundred times was really draining, but it was worth it. Even though I had watched the bubbles turn up and down and the lights come on and off a thousand times before, every person who walked up to check it out was experiencing what I had made with fresh eyes and a sense of curiosity which is what it’s all about. I will be sharing a write-up of the fishtank later this week, with some photos taken along the way and also a rough parts list and source code, so you will have all you need to get building your own fishtank of the future. 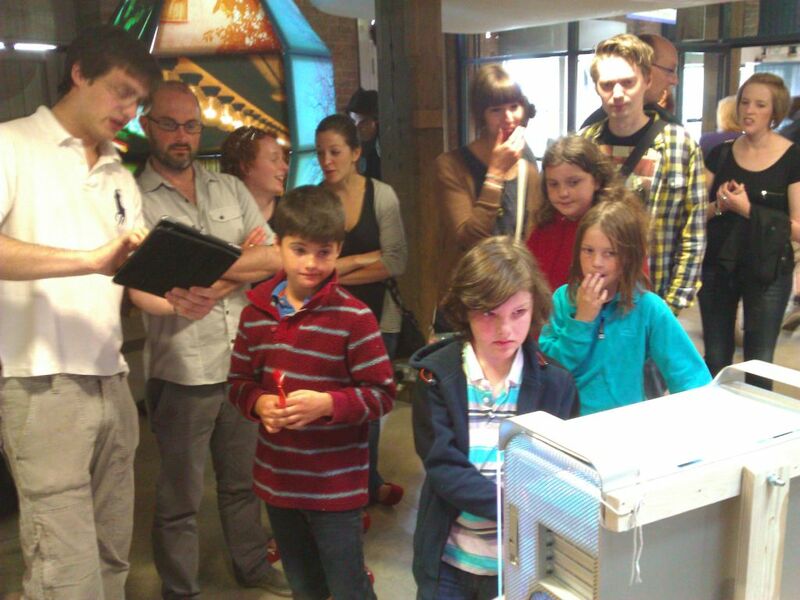 If you were at the Maker Faire or you’re interested in what I do, I’d love you to get in touch on Twitter, Linked in or even just using my contact form. I’m happy to talk about anything related to hardware, software or anything else!